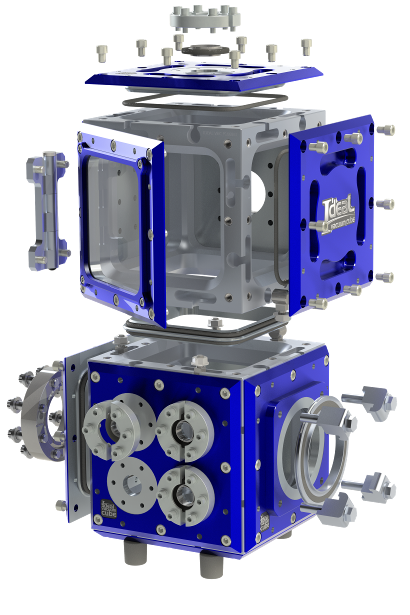 The Ideal Vacuum Cube was conceived to enable creativity and design flexibility in vacuum chamber system construction. Cubes can be stacked together into various shapes and configurations, with interchangeable plates offering a variety of features for connections, windows, and feedthroughs. Plates include a standard 1" optical pattern for easy connection of hinges, posts, mounts, lenses, polarizers, and other accessories.